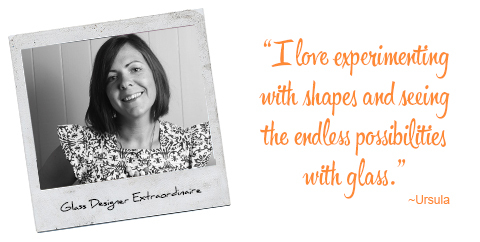 My name is Ursula Bates and I create designer lamp work glass beads for use in jewellery designs. I have been working with glass since 2006 but have only started to properly sell and brand my product this year in 2016 after my second child was born. All of my beads are made in my studio in Nambour, Queensland. My beads are of the highest quality and are made with patience, precision, skill and a genuine love of working with hot glass. 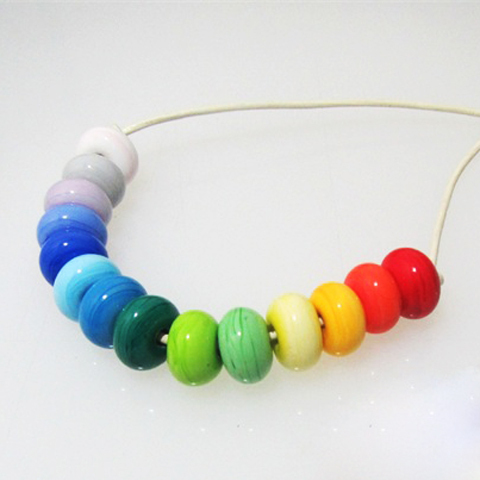 Unlike a lot of cheaper imported glass beads, all of my beads are properly annealed in a digitally controlled kiln for strength and durability. When I'm not doing bead-related shenanigans, I am mum to two children and can be found tending to my vegetable garden and chickens, as well as drinking copious amounts of tea. Well my working environment is not fancy at all. In fact, I work two days in my small studio under the house. With working with fire and hot glass, you need to be in a well ventilated area with a hard surfaced floor. 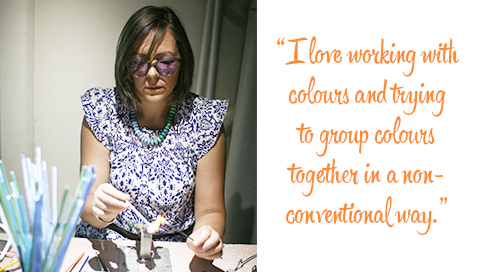 I assemble my jewellery in another well-lit room which also doubles up and a photo studio. I love working with colours and trying to group colours together in a non-conventional way. 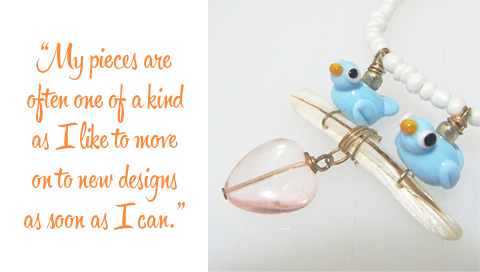 I also love experimenting with shapes and seeing the endless possibilities that you can create with glass. Often my pieces are one of a kind as I don’t like to be repetitive. I get bored easy so I like to move on to new designs as soon as I can. If I think of something new I want to try, I like to get started straight away. I have always loved mucking around with beads. When I was a child I used to make paper beads with a kit that I got for Christmas. It was the best. Fast forward to 2006, I was lucky enough to be living very close to a small art school in Sydney, that offered evening classes. One of those classes was "Making Glass Beads". I was intrigued to say the least, and signed up for a 6-week course. 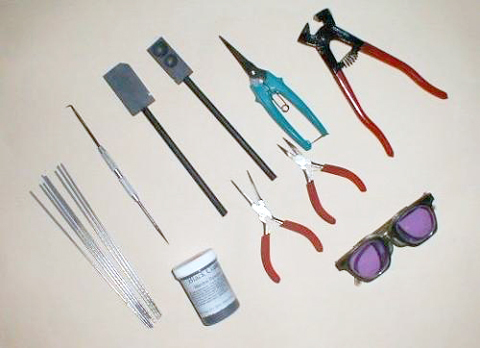 I loved it so much, that over time I have begun to invest in some tools and equipment. I practiced whenever I had the chance and I began making gifts for friends and relatives. I moved to Canada in 2009 and lived there for 2 years. As the weather was so cold, I found I was restricted to the house more so than my time in Sydney. However, this promoted me to practice and work on my glass skills. Now, 10 years on, my skills have really developed and I feel more confident that what I create is worth sharing. I love that handmade is so unique and that everyone who creates handmade items has their own spin on things. 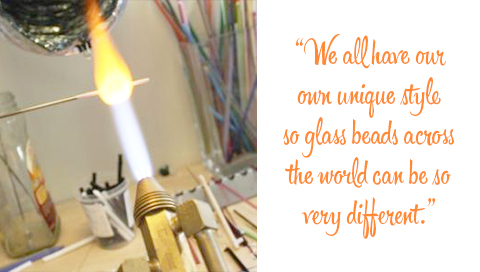 This is especially true amongst the lampwork bead makers. 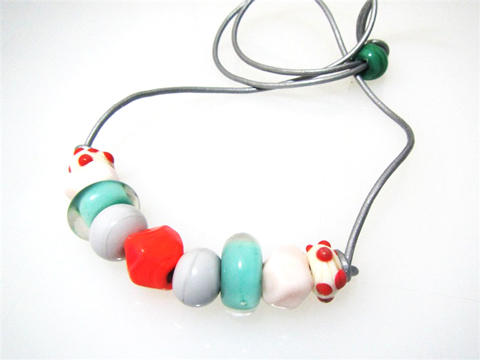 We all have our own unique style so glass beads across the world can be so very different. I really would love to see more people buying locally handmade products. I always think that less is more. So, if a person buys one of my necklaces that is unique they might treasure it for life, rather than buying 3 or 4 pieces of cheaper costume jewellery at k-mart...which is usually tossed aside after a few months of wear. I really like that Made It is an Australian company, which helps promote Australian Made products. It’s a great platform to reach local customers who appropriate handmade products.